I haven't managed to id this one yet, but it looks like one of the Ichneumons, or similar, showing the distinctive "waist" of the wasps. 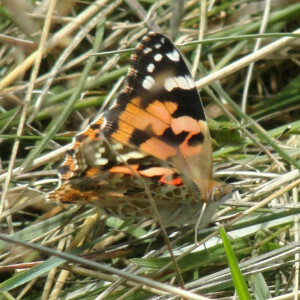 Apart from making a change from butterflies and moths the extra interest in this photo is that it's a female in the act of laying eggs. 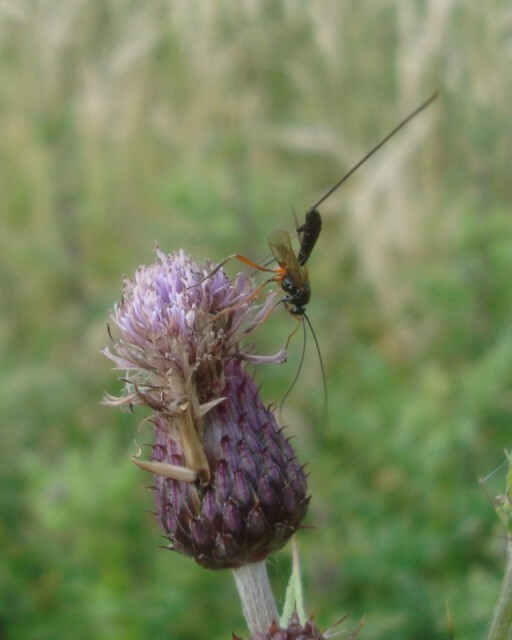 Those of you that know your way around insects will see the ovipositor (thin, straight, pale orange) is extended into the flower of the thistle where no doubt it will be puncturing the developing larva of another insect - probably a moth or butterfly. A rather intricate act of balance and precision.